Hello Cincinnati visitors, welcome to Endres Gateway Dentistry. Let’s talk about the tooth replacement option known as dental bridges. While dental bridges have restored smiles for thousands of dental patients, they are not problem free. Many people with dental bridges find it impossible to keep the small areas around the bridge clean. This is not surprising because it is hard to get toothbrush bristles or dental floss under the bridge. Of course detrimental bacteria has no trouble moving in and taking over without the dental patient even knowing it. When the decay reaches the roots of the surrounding teeth, it is not only painful, the person is at risk of losing those teeth also. That is one reason why a dental implant is superior to a dental bridge. Most people with missing teeth are great candidates for dental implants. The crown portion of a dental implant looks just like the crown on a high-quality dental bridge, but the important part is what you don’t see. The dental implant itself is a titanium post that is screwed directly into the jaw bone. 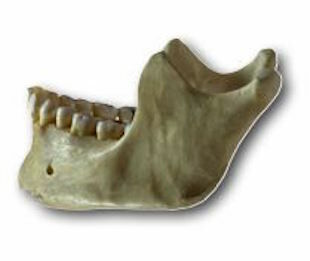 It is not attached to teeth like the dental bridges traditionally used. In a way, a dental implant is a more conservative tooth replacement because it leaves the adjacent teeth intact. The bone and gum tissue mesh permanently with the titanium post that serves as the replacement tooth root. Dental implants do not have the same decay risk as the teeth that anchor dental bridges. Of course patients with dental implants need to brush and floss, but cleaning a dental implant is usually no more difficult than cleaning a normal tooth. Dental implants have a far better track record in Ohio than dental bridges. With proper care, a dental implant can last a lifetime for smile-smart dental patients. At Endres Gateway Dentistry in Cincinnati we provide dental crowns and dental implants, and many other services. Call our office to schedule an appointement today. Dental implants have been hailed as one of the great advances in the field of dentistry, and with good reason. Implants are an artificial tooth root that is surgically implanted into the jaw of a patient, to replace a missing root. The implant, in turn, can support an artificial tooth; multiple implants can anchor a set of dentures. Dental implants are available from Endres Gateway Dentistry in Cincinnati. But first, there are times when we have to take a moment and marvel at human ingenuity. The idea of a dental implant actually goes back at least a thousand years. Ancient implants were a far cry from what we know today: sea shells, pieces of metal, and even bits of bone were placed in the patient’s jaw. We don’t know if any of them were any good, but the idea was there. Implants as we know them today date back to the early 1950s. The implant is most often made from titanium. One of their great benefits is that they help to prevent bone loss, which is common in people who have lost one of their natural teeth. In practical terms, the great thing about single implants is that they function like a natural tooth. The titanium post fuses to the patient’s jaw, and integrates with the bone so well that the body seldom recognizes them as a foreign object. Rejection is rare. Conventional dentures may be more affordable than implant-anchored dentures. But because they are removable, most patients find that traditional dentures can be unreliably loose. They can also affect the ability to enjoy food. These are not issues with implant-supported dentures. Dental implants from Endres Gateway Dentistry in Cincinnati are the closest thing to getting back a natural tooth. Find out more by scheduling a consultation today. We also provide family dentistry, and serve the Blue Ash, Loveland, and Montgomery OH communities. In this post from Endres Gateway Dentistry, we will review jaw bone health, and how dental implants can be beneficial. To remain healthy and strong, your jaw bone needs to be continuously stimulated by the pressure of chewing, biting, and talking. Each tooth has a root structure the extends into the surrounding bone material. As each tooth absorbs the forces of everyday mouth function, it stimulates blood flow in the bone surrounding the root. In some cases, tooth damage is so severe that extraction is the only option. However, we make every effort to retain the root structure. When a tooth is extracted, the jaw bone that surrounded the previous root structure begins to recede. Fortunately, dental implants provide a new, artificial root which helps to keep the surrounding bone healthy and strong. A dental implant a strong titanium post which replaces the natural root and eventually integrates into the surrounding bone. After the implant has been placed and the surrounding bone has healed and meshed with the implant, a post is inserted into the implant. The new artificial tooth, or crown, is then attached to the post. 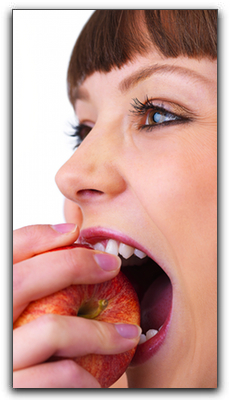 Implant restoration is a safe and effective treatment for tooth loss. For more information about dental implants, call us at Endres Gateway Dentistry. We serve Cincinnati, Loveland, and the surrounding areas with family dentistry. Schedule an appointment today. Ill-fitting dentures can bring about more troubles for denture wearers than they solve. If you live with loose dentures, you probably regard them as a necessary evil. With dental implant-supported dentures, they’d be a thing of the past. Unfortunately, many frustrated denture wearers have discontinued dining in restaurants or engaging in social activities because they are afraid their dentures will slip. They prevent bone loss that can result when teeth are removed. They do not aggravate gums. Patients who have replaced their conventional dentures with implant overdentures enthusiastically say that the dental implant cost was more than worth it. Do you want to eat normally again? What is the value of preserving your facial shape? Can you put a price on confidence? For more specifics about dental implants, contact Endres Gateway Dentistry in Cincinnati, also serving Loveland and Montgomery. We provide family and cosmetic dentistry. Schedule an appointment with us today. Millions of Americans have replaced a missing tooth with a dental implant, and that number grows each year. 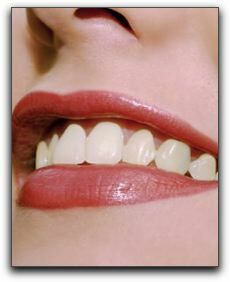 At Endres Gateway Dentistry in Cincinnati, we are providers of these dental marvels. A dental implant is a titanium post that is surgically implanted into your jaw. An artificial tooth goes on top of the post. One of the things that make dental implants so popular is that they blend in so easily with the patient’s remaining teeth. They look and function like natural teeth, making them an excellent, long-term option. Another benefit of dental implants is that they prevent bone recession, which is common in people who have lost teeth. The titanium post goes where the tooth root used to be, and strengthen the bone. For patients missing all of their teeth, implants can be used to anchor dentures, providing a more secure fit. Many patients report newfound confidence in themselves, after years of embarrassment caused by missing teeth. To find out more about dental implants from Endres Gateway Dentistry, contact our office. We serve Cincinnati, Blue Ash, and the surrounding area, providing family dentistry and cosmetic dentistry. Make an appointment with us today. At Endres Gateway Dentistry in Cincinnati, we believe that an ounce of prevention is worth a pound of cure (thank you, Benjamin Franklin!). We are very big on prevention – and not only when it comes to tooth decay, gum disease, and other dental issues. We are also concerned with how the condition of your mouth impacts your complete physical health and general well-being. Scientists have known for quite some time that people with diabetes have higher rates of gum disease. Maintaining proper blood glucose levels is the key to minimizing the risk of gum disease and related issues for those affected. Additional research is exploring whether the reverse is also true – whether poor oral health increases the risk of developing diabetes. A long-term study suggests that it does. Additional trials are exploring how tooth and gum health impacts the ability of diabetics to manage the disease. If you have diabetes, it is essential that you see a dentist regularly and are committed to daily oral hygiene, proper nutrition, and other important practices. 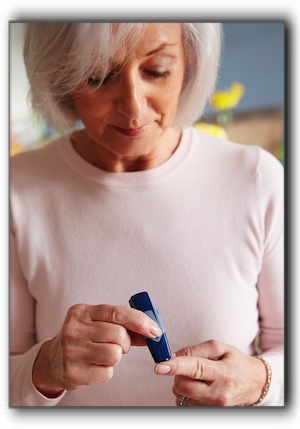 Moreover, your success in controlling your blood glucose levels will improve your oral health and vice-versa. If you don’t have a dentist and live in the greater Cincinnati area, call Endres Gateway Dentistry. We’ll carry out a thorough examination and ay hygienist will treat your teeth and gums to a professional dental cleaning. Then we will create a helpful plan for improving and maintaining your dental health for life. Would you like a beautiful smile? Come in and ask us about sedation dentistry or family dentistry. We can answer all of your questions. Considering orthodontics? 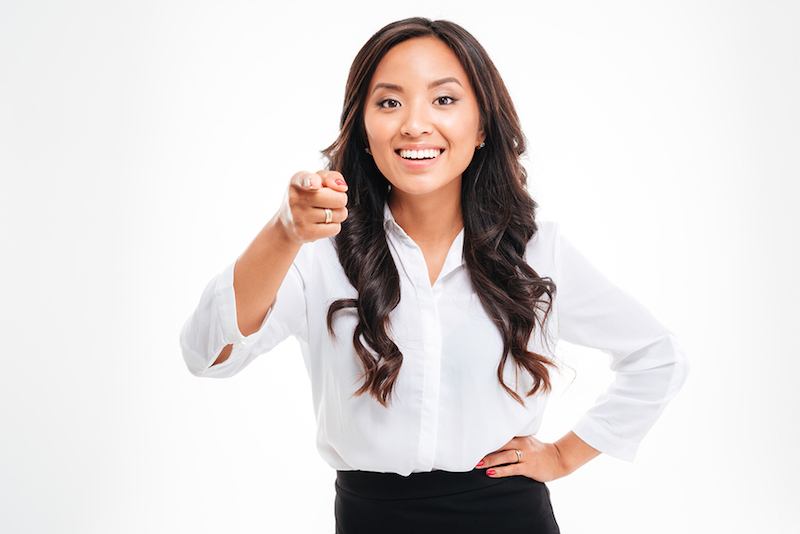 Our staff can set you up with a consultation that’s sure to enlighten any patient. We invite you to test our claims about restorative dentistry or cosmetic dentistry. Meet our friendly employees. Come see why Endres Gateway Dentistry is considered a gem in the Cincinnati community. We’re that good. You may also be interested in porcelain veneers. If you are missing one or more teeth, ask us about the process and the price of dental implant surgery. Dental implant surgery isn’t for everyone, but your research is never complete until you get in and visit with Dr. Eleanor Endres to find out if dental implants are for you. Eleanor Endres has been providing first-class general and cosmetic dental care since 2007. During that time, we have helped patients from all over the Cincinnati area including Cincinnati, Montgomery, and Kenwood. Eleanor Endres’s skill and experience combined with all the wonders of modern dentistry works dental miracles. A complete smile makeover or smile redesign combines several cosmetic dental procedures to achieve the most beautiful smile possible. Treatments include: dental crowns, tooth-colored fillings, porcelain veneers, inlays/onlays, dental bonding, invisible braces, gum surgery, and teeth whitening. We guarantee that cosmetic dentistry will change your life for the better – it is the ultimate anti-aging treatment! You will value your new smile like a precious gem and will be proud to flash your smile to everyone you meet.